Footage showing the last few remaining radioactive fuel elements being removed available in a new film. Never seen before footage of Dounreay workers removing the last remaining radioactive fuel elements from one of the site’s iconic reactors has been made available in a new film. Work started earlier this year to remove material which has been stuck inside Dounreay Fast Reactor for several decades. 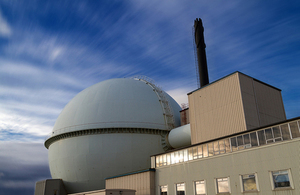 Decommissioning of the 58-year-old dome shaped structure is one of the most technically challenging projects in the Nuclear Decommissioning Authority’s estate and removing the breeder elements has been a top priority. This project is one of the biggest engineering challenges we face in decommissioning the site and sometimes it is hard to visualise the complexity of the work being delivered. This film provides a good insight and demonstrates the range of skills and expertise working hard to safely reduce hazards at Dounreay.